The Range Rover Sport Hybrid has the ability to transport you in supreme comfort whether you’re driving on tarmac or over a mountain, it can seat seven, and it even lets you make progress in all-electric mode – albeit for very short distances. It wasn’t that many years ago when Range Rovers – with fuel economy from their V8 engines in the mid-teens – were seen by some as the greatest threat to our planet. Yet today you can buy a Range Rover Sport Hybrid with 700Nm of torque and an official combined fuel economy figure of 44.1 mpg. 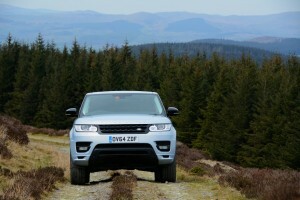 It also has a highly desirable image (for some) and is massively capable on and off-road – so surely this represents huge progress? The Range Rover Sport Hybrid is an amazing example of the capabilities of design and engineering in the UK automotive industry. Regardless of what people may think about the image of this car, the design style is very slick. Gone are the square, bulky proportions of the last Range Rover Sport; we now have a car with more curves to soften the previous appearance. Inside, with stylish design and high quality materials, you have one of the most feel-good interiors in the business – but so you should for a car costing the wrong side of £80,000. There’s lots of space and you also have the ability to seat seven. However in addition to the seductively-styled exterior and interior, it’s the engineering under the skin that is the most impressive aspect of this car. As we’ll put to the test, the Range Rover Sport Hybrid is engineered to be massively capable off-road, with its array of various drive settings and a ride height that can be adjusted at the flick of a switch, from its 200mm standard height up to 278mm for off-road adventures. 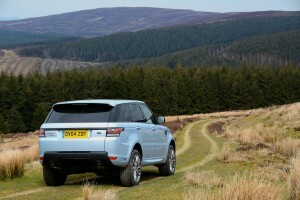 The ground clearance, approach and departure angles and wading depth of 850mm are unchanged from the non-hybrid models. The 3-litre SDV6 diesel engine and 8-speed automatic transmission are an effective combination, but the big news about this particular car is that it brings a hybrid powertrain to the party. This means the promise of all-electric Range Rover driving – for limited distances – as well as a whopping 700Nm of torque. The hybrid battery is charged by capturing kinetic energy created by regenerative braking – energy which otherwise would be lost. This is then used to power the 35kW electric motor. This isn’t a plug-in hybrid, so you don’t need to charge it from your electricity supply at night. 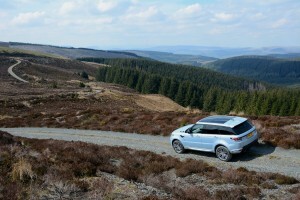 The main headlines here are refinement and comfort: the Range Rover Sport Hybrid feels like it’s incredibly well insulated from the external environment, in terms of ride quality and noise levels (even with 21-inch alloys). This is applicable to tarmac roads, but is especially the case off-road – driving over mountain tracks such as the ones you see in the photos feels like driving on tarmac. 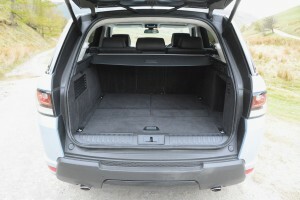 So the ride comfort is exemplary, but what about the handling? 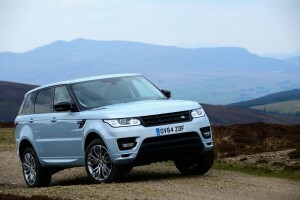 Well, the Range Rover Sport Hybrid weighs 2372Kg (compared to 2115Kg for the SDV6 model). This means it’s a heavy car, and it’s a car with a high centre of gravity. Both of these things mean that the laws of physics are at play and therefore you shouldn’t interpret the ‘Sport’ element in the car’s name to mean that this is a sports car. 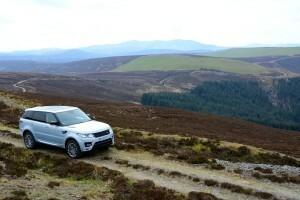 Although grip levels are good, this isn’t a vehicle that you can swiftly pilot through twisting country roads with genuine precision, agility and a planted feeling, although in Dynamic mode the Range Rover Sport handles much better than you should expect from a tall car weighing the best part of 2.5 tonnes. Performance levels are more than adequate for this type of car – the hybrid system means that there is more torque than the SDV6 model – but again, thanks to the weight factor, this is not a performance car. The car’s computer controls the torque delivery, meaning that, in the interest of smoothness and traction, there’s a slightly relaxed delivery of acceleration immediately from standstill. As well as the Dynamic setting on the terrain response controller, you can also select Sport mode using the new gear selector (rather than the rotary dial gear selector on the previous model), which gives improved throttle response. And you can change gear using the steering wheel-mounted paddles. The automatic transmission is usually very effective when left to its own devices, but if you’re driving along twisting mountain roads, dropping down a gear manually when entering corners does give you more control by using engine braking. 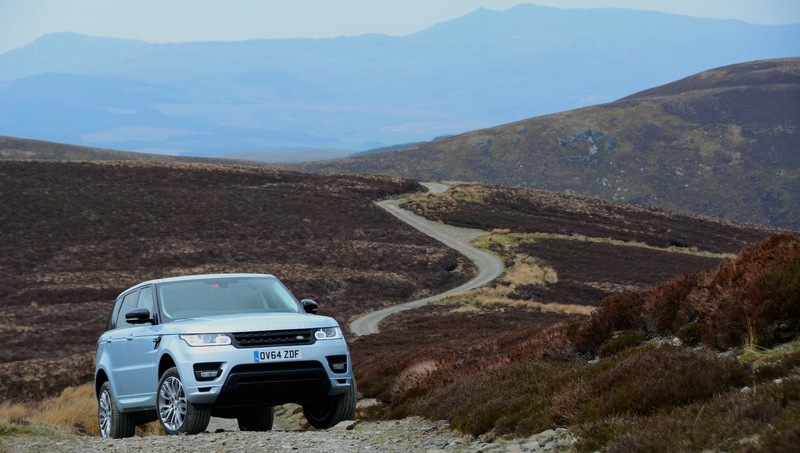 There’s a range of off-road driving settings, which, combined with the ability to raise the ride height well beyond that of most SUVs, means that the Range Rover Sport is immensely capable off-road. 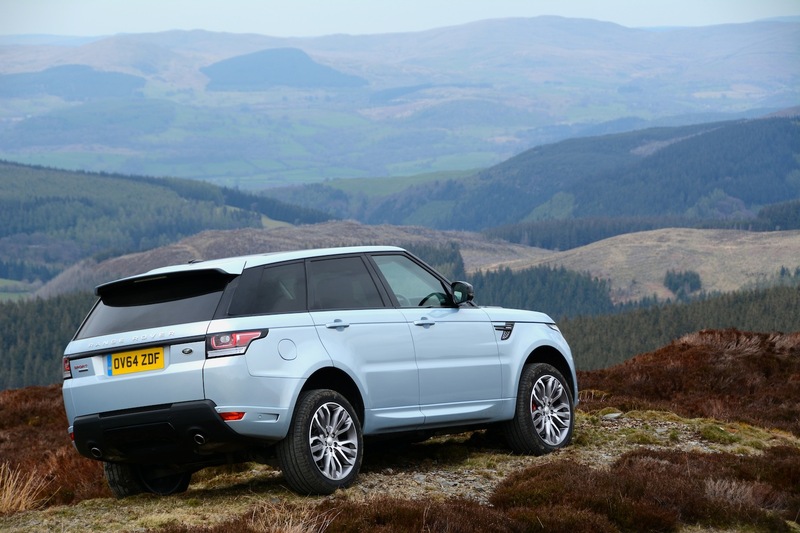 New to this Range Rover Sport is the automatic setting for the terrain response controller, allowing the car to decide which mode is best. So what about the hybrid driving experience? It’s possible to drive this car and think that it just has an effective stop/start system, as the engine will cut out at standstill and start again as soon as you touch the accelerator. However there are also situations when the hybrid system makes itself felt much more clearly – such as in slow stop-start traffic. 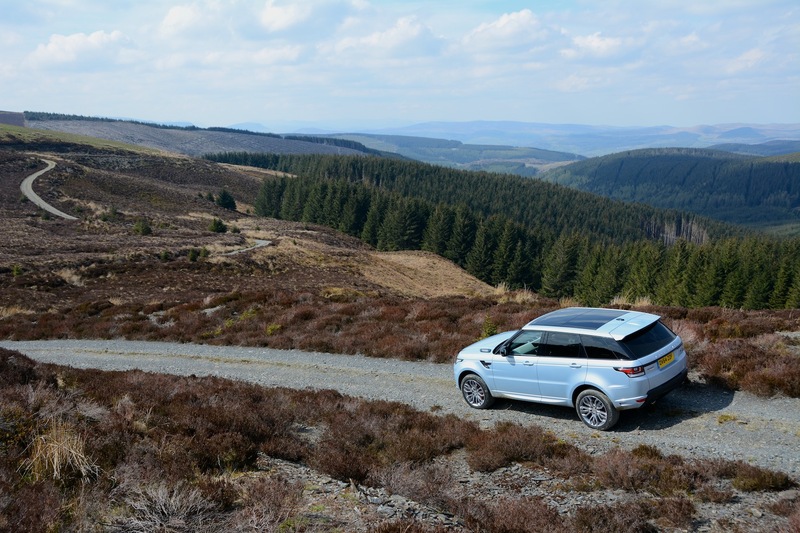 In this situation the Range Rover captures energy when braking and you can use it again when crawling forward – so when at standstill and creeping, you’re genuinely driving an electric Range Rover. You can press the EV button to select pure electric driving, however we never came close to experiencing the one mile of potential electric range that Land Rover claims is possible, and you’re left with the feeling that a little bit more electric range would be nice. You can select to view a ‘full hybrid display’ in the instrument cluster which shows that the battery can be charged quickly under braking, but that the battery can also be discharged quickly when driving on pure electric power. 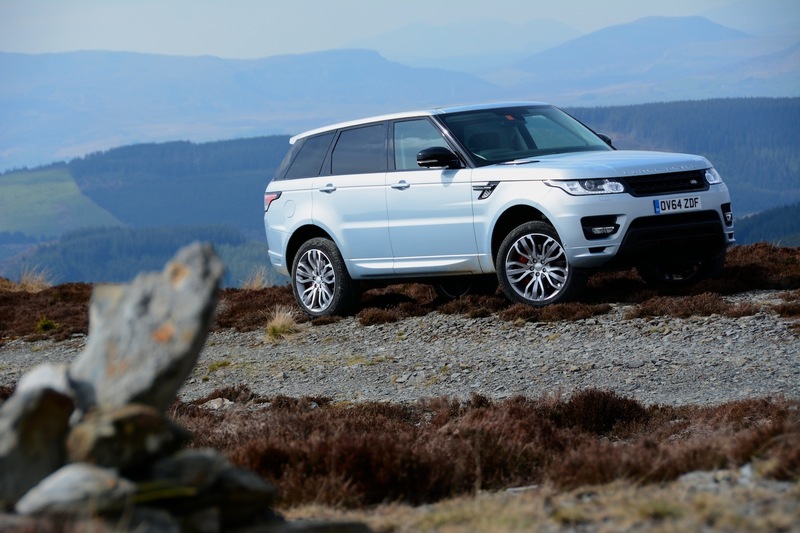 The Range Rover Sport Hybrid cuts the engine during driving at higher speeds if there is no load, such as when lifting off downhill, which does have a positive impact on fuel economy. 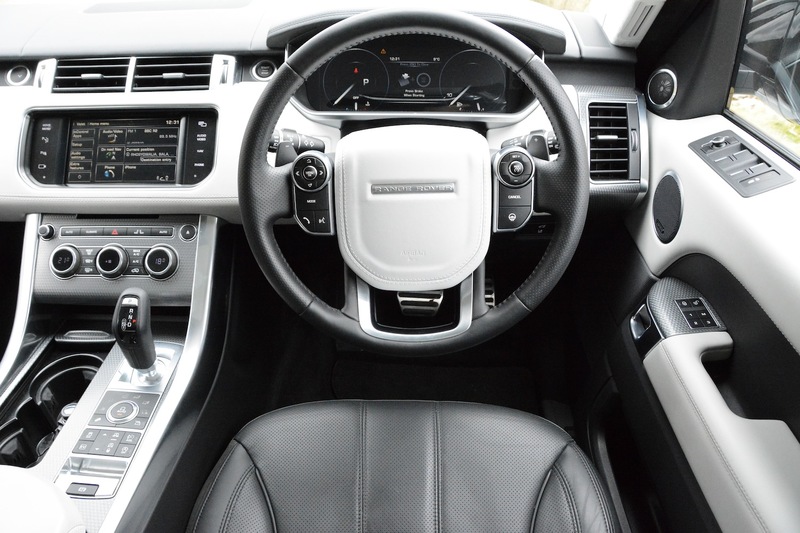 There are a few minor niggles, such as to change where the ventilation/heating is directed at, or to switch on the heated seats, you need to press a button on the dashboard, then press another button (or buttons) on the touchscreen – just one switch would be preferable. Also, if you’ve positioned the driver’s seat low, you can’t see the trip/fuel economy readout, as it’s hidden behind the lip at the bottom of the instrument display. Having a TV screen viewable in the front of the car on the day after the general election was genuinely useful, but to activate the (expensive) TV screens for rear seat occupants, a lot of button pressing is required on the touchscreen – including every time you restart the car. Overall we’d prefer an iDrive-type controller rather than just a touchscreen, as it would be easier to use on the move – and especially when driving on uneven off-road surfaces. The whole point of the Range Rover Sport Hybrid is that it delivers similar performance to the SDV8 Diesel but with 169g/km CO2 emissions, 13% lower (25g/km less) when compared to the entry TDV6 engine. This translates to official combined economy of 44.1mpg; whilst this may not be the highest economy figure for a hybrid, for a vehicle with this level of off-road ability it’s highly impressive. But what economy did we experience in real-life driving? At 70mph on the motorway we achieved 40.9mpg. At 60mph on A-roads we managed 36.4mpg. The worst economy we experienced during lots of driving in the mountains was 28.4mpg. Overall we averaged 32.1mpg. As usual, this is down on the official combined figure of 44.1mpg, but is respectable for a car with this level of capability. After all, a vehicle with the weight and aerodynamic properties of a Range Rover is never going to achieve huge economy figures in real-life driving. 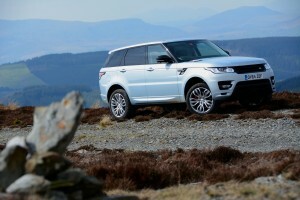 The Range Rover Sport Hybrid costs £82,650. The Sport range starts at £61,250 for the 3.0 SDV6 HSE, climbs to £66,250 for the 3.0 SDV6 HSE Dynamic, and to £76,250 for the 3.0 SDV6 Autobiography Dynamic – so our Hybrid is £6,400 more than this equivalent non-hybrid model. However the Hybrid is supposed to offer similar performance as the 4.4 SDV8 Autobiography Dynamic model, which actually costs the same £82,650 – as does the 5.0 V8 S Autobiography Dynamic. However our test car came with a number of options, bumping up the price: On Board Television (£800); Dual View Touchscreen (£600); Sliding Panoramic Roof (no cost option); Perpendicular Park Assist (£900); Privacy Glass (£300); Rear Seat Entertainment (£2,500); Powered 5+2 Seating (£1,500); Surround Camera System (£700); Wade Sensing plus Blind Spot Monitor with closing vehicle sensing and reverse traffic detection (£750); and Traffic Sign Recognition (£600). 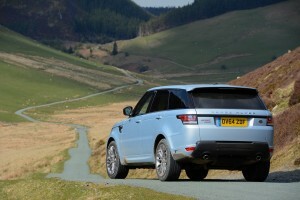 With all the options, the total price of our test car was a fairly substantial £90,500. Because the hybrid system brings down the official emissions, the company car BIK tax for 2015/16 is 30% – which is lower than the non-hybrid version, and so should be part of the appeal of this car. 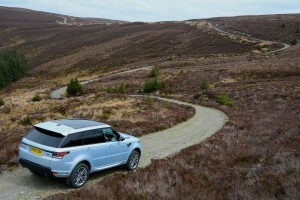 The Range Rover Sport Hybrid is probably the world’s most capable all-round car. With help from its air suspension, it can drive over most off-road tracks and make them feel like a normal British urban road surface. 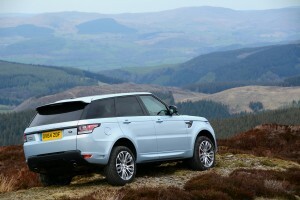 And it should never drive as well as it does on-road for a car that is so amazingly effective off-road. The hybrid system adds an element of energy efficiency – even though you’ll never get very far on battery power alone. So should you buy one? If you plan to use all of its capabilities – go anywhere skills, on-road dynamics, spaciousness, and energy recuperation – on a regular basis, then yes. 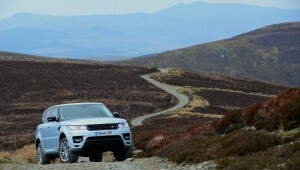 However most people won’t – particularly the off-roading ability. This car will be bought because it has the desired image, and because it can do these things – even though it won’t be asked to in most cases. 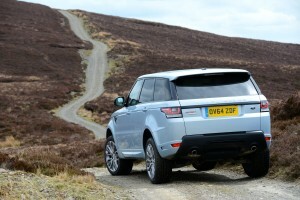 So if you want efficiency, good on-road dynamics, and if you’re not going to use a car off-road, then do you need all the off-road capability that is engineered into a Range Rover, with the resulting weight penalty? 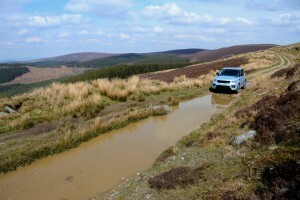 You can see why this car would be ideal for many global markets, but there really are few roads in the UK that remain unpaved. 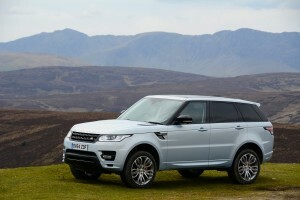 However, overall this is a highly significant car because it’s the first hybrid Range Rover (or Land Rover) that you can buy, and it shows the direction of travel of the company. 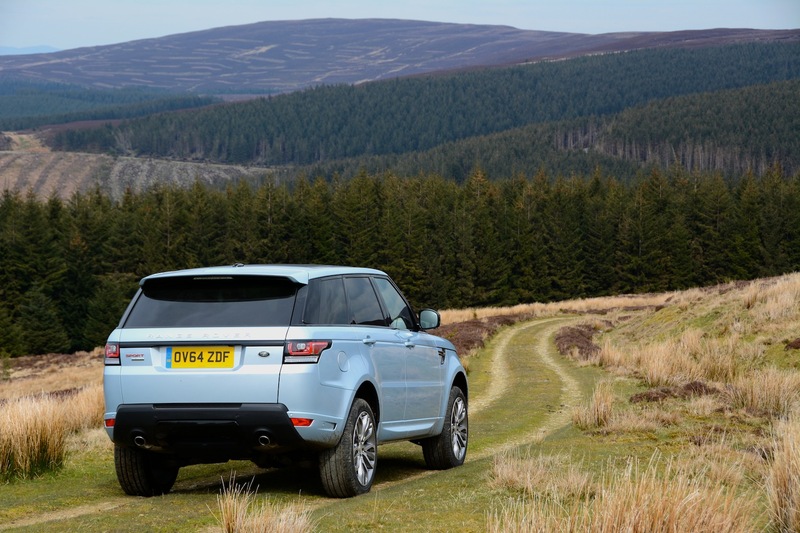 More hybrids from Land Rover will follow, including plug-in hybrids, which will give a greater electric range – but these will have even more of a price premium. 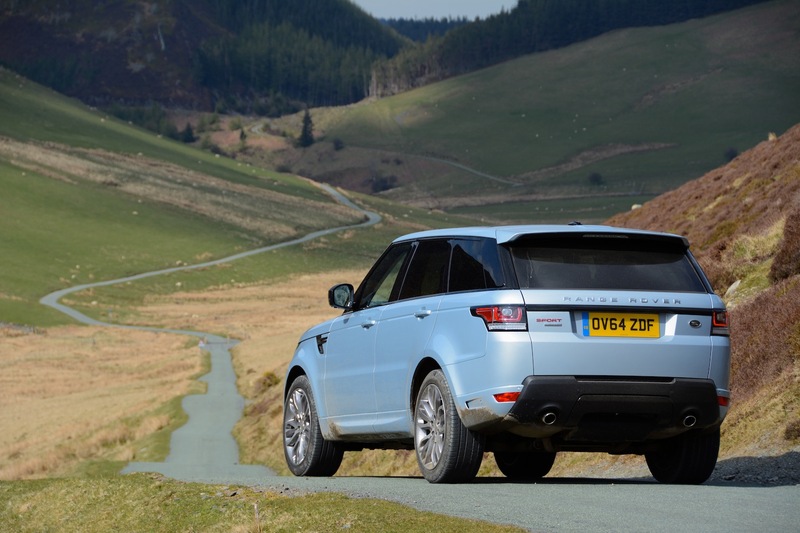 In the meantime the Range Rover Sport Hybrid scores 10 out of 10 for its all-round capability, but based on our criteria which includes real-life economy and value for money, it can only score a Green Car Guide rating of 9 out of 10 overall.